It’s hard to believe the end of October is upon us. Here on Cape Cod, these fall days are delightful, but we know that all too soon the sun’s warmth will wane, the winds will whistle, and we’ll see the proverbial frost on the pumpkin. So, I am eager to return to warm, sunny St. Barth. We’ll settle in at our beloved Villa Everest in early November, eager to see the island awakening from its sieste. We look forward to the start of each season, and this one is extra special for us – it will be St. Barth Properties’ 30th anniversary! On December 7, we’ll host our launch-the-season soirée – that was so rudely interrupted last year by Irma. The celebration will be twofold – our 30th anniversary and St. Barth’s amazing recovery. We’ll honor the island’s spirit. Festivities will be at the newly reopened, and more gorgeous than ever, Le Barthélemy Hotel & Spa. P.S. We still have a good selection of villas available for the holidays – but they’re booking fast! Take a look and contact one of our villa specialists, who will be delighted to help you jingle your bells. This festive season promises to be exceptionally exciting. The bedrooms (all with king beds) include two identical guest bedrooms on the lower level with direct beach access, and one on the main level. 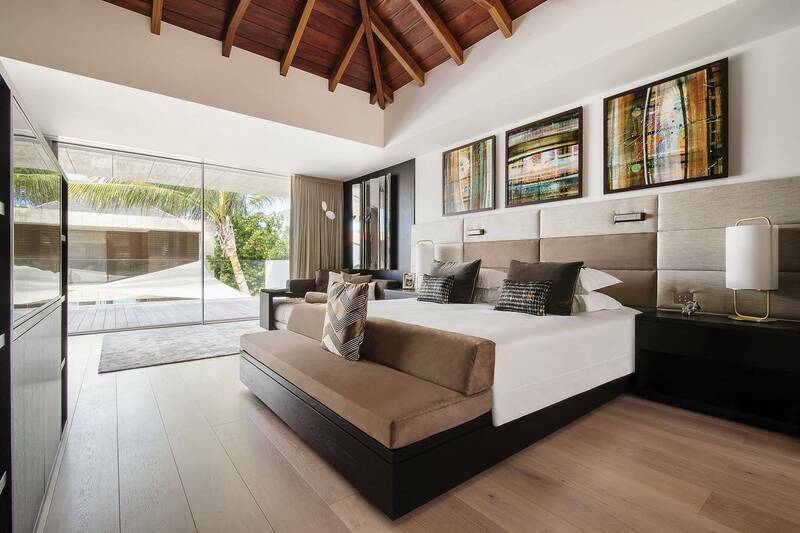 The master suite, with its own living area, terrace and his-and-her baths, is on the upper level overlooking the pool and out to the water; two identical bedrooms are also on this level. The villa features the most sophisticated audiovisual technology and comprehensive security systems. There’s a Sonos sound system throughout, and TVs are equipped with U.S. and Russian satellite service. 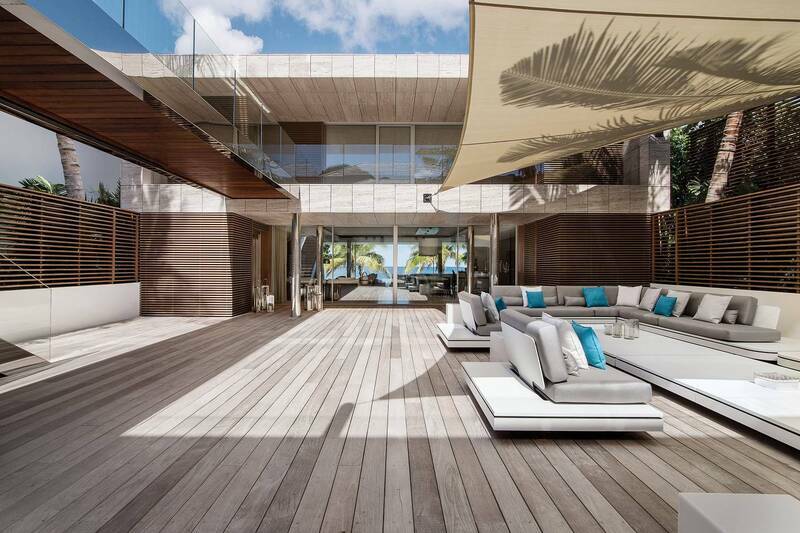 Guests can stroll down the beach to dine at the 5 star hotel Cheval Blanc St-Barth Isle de France. Villa Wake Up is included in our Grand Cru collection. These exceptional villas include a breakfast delivery (fresh fruit and French pastries), turndown service and more. Take a look at the other villas in this collection. We are pleased to welcome Lilian Garrido to the island office team. 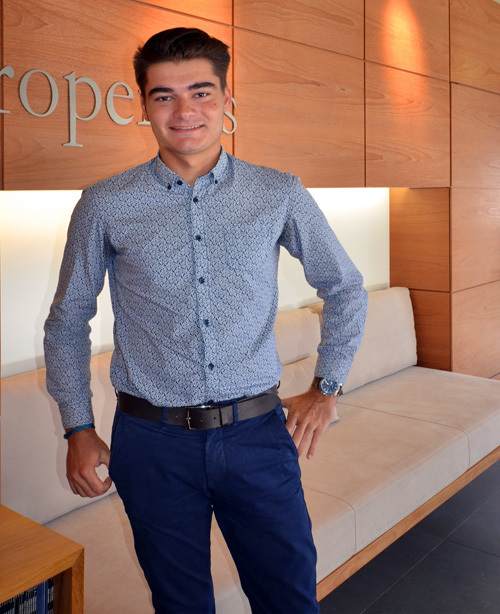 Lilian is a villa rental specialist, and he’ll be as happy as his colleague and fellow specialist Laura Commaret to greet you when you stop by the office. He will also assist Aurélie Janvier with the concierge duties. Lilian holds a master’s degree in marketing strategy & data analytics from the Paris School of Business and has just completed a global digital marketing internship with Infinity. Lilian was born in St. Barth, and his passions include photography and video production. He’s as excited to join the team as we are to have him. Welcome, Lilian! Our U.S. team members Anne-Cécile Bedford and Allegra Pawlowski are planning their pre-season inspection trips and will attend our Soirée. Along with Peg, they’ll be visiting new and renovated villas, doing site inspections to the reopened hotels and, of course, checking out the new menus and restaurants. We suspect there’ll be some shopping too. Anne-Cécile and Allegra will be delighted to share the details with you. And, as always, our dynamic duo of a concierge team – Julia in the U.S. and Aurélie on St. Barth – are ready to deliver your dream vacation. Rare opportunity to own a one bedroom condominium in the ever-popular Colony Club. 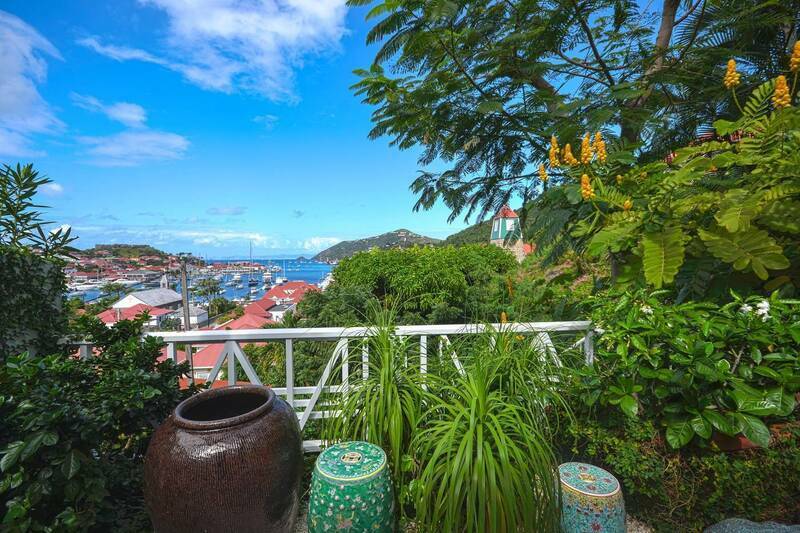 Perfectly situated above Gustavia, this recently refurbished apartment offers a lovely view of the yachts, harbor and brilliant sunsets. The en suite bedroom is just off the spacious sunken living room. The small kitchen and the bathroom with a dressing area have been renovated. A private terrace is ideal for outdoor living. A corridor leads to the laundry. Enjoy the community pool and the ability to walk to the shops, restaurants and Shell Beach. One parking space is included. Le Barthélemy Hotel & Spa reopened on October 28, more luxurious than ever and with the new rooftop lounge WTF (Whiskey, Tango, Foxtrot) open Tuesday through Sunday, 5:00 pm to 1:00 am, with drinks, tapas and an appetizer menu. A DJ will spin tunes on Friday and Saturday evenings. We are pleased to offer our clients a “beach-bag-full” of amenities at Le Barthélemy. Many of the island’s restaurants have already reopened for the season, with many more opening in time to welcome November visitors. The notorious Ti St. Barth reopens on October 31 (They are open Tuesday thru Sunday and nightly during festive season.) The fun starts at 7:00 pm on the terrace with a “two-hour happy hour” and tapas (no reservations.) Dinner is served from 7:00 pm to 10:00 pm and on Wednesdays there’ll be chef’s specials. Evenings will be themed with music, loads of fun, and as the restaurant morphs into a nightclub, dancing on the tabletops till 2:00 am. (Note: tables can be reserved for groups, after 10:00 pm but bottle service is required.) Their legendary Cabaret will be on Tuesdays; romance will be in the air for couples on Wednesdays; ladies will be treated to Champagne at Thursday’s fashion shows (7:00 pm-9:00 pm.) There’ll be live music on Fridays and they take the party up-a-notch on Saturdays with costumes. A night at the Ti makes a great addition to a St. Barth vacation! We have just heard from Hideaway’s owner that she has sold the popular restaurant, and the new owner plans to open in early 2019. (Thank you, Hafida! We wish you well as you pursue new ventures.) We’ll keep you updated on new restaurants, new chefs and new menus. Dining is such an important part of the St. Barth experience. Our stay in St. Barth and Villa La Vigie was wonderful! It was comfortable in every way imaginable. Absolutely loved the island, and all together it was a great experience. Thank you very much! Definitely will be back to St. Barth... Your agency is amazing, definitely would recommend it to everybody. Shell Beach was our go-to everyday beach – (Shellona) salads and drinks were awesome. Pearl Beach and Nikki Beach were great for partying during the day, and Bagatelle at night. We also dined at Eddy’s, Ociela, Bonito and Le Repaire for dinners.